Williamsburg Heights is bounded by Capitol Drive to the north, Holton Street to the east, Keefe Avenue to the south and I-43 to the west. Some consider Williamsburg as a section of the newer Harambee neighborhood to the south. The homes here are dominantly bungalows, the nearly universal favorite of the 1920s, with 2- and 3-story Milwaukee duplexes scattered among them. 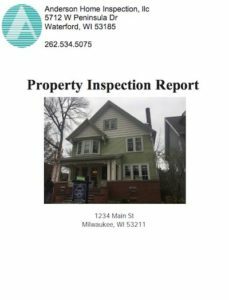 Locate a WILLIAMSBURG HEIGHTS bungalow or duplex Milwaukee home and need a reliable home inspector? Hire a Top Rated Home Inspector for your Williamsburg Heights Milwaukee Wi home! Routine Maintenance Home Inspections Williamsburg Heights Milwaukee This is good to do every 5 years or so to save yourself lots of money in the long run! Thermal Imaging Williamsburg Heights Wi – See where you can save money in your home with heating and cooling with a thorough thermal imaging inspection!